• Both jail time and a monetary fine. 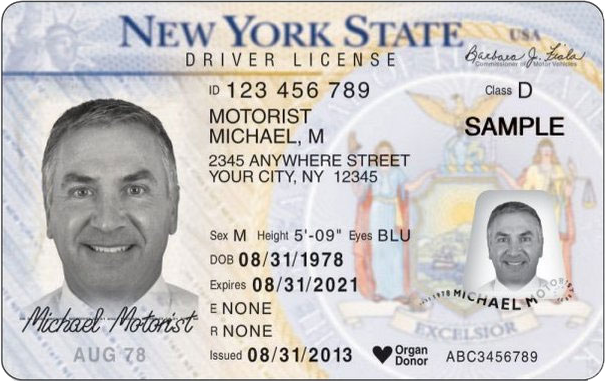 Failing to renew a NY driver’s license within 2 months, or 60 days, of the expiration date carries a fine of $40. Those who drive with a suspended license or whose license has been revoked face ever stiffer penalties, as these are more serious traffic offenses. 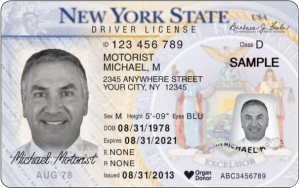 In addition, taxi drivers and limousine chauffeurs may find themselves dealing with New York’s additional penalties for driving a vehicle for hire without a license. • 1st degree is the most serious offense, with more considerable fines. These violations are considered Class E felonies, and may stem from previous and repeat 2nd degree offenses, or driving while under the influence of a controlled substance or alcohol. • 2nd degree violations encompass repeat offenses by those whose license has previously been suspended, failure to pay fines, missed court dates, or infractions related to alcohol consumption. • 3rd degree offenses are the least serious and carry reduced fines. Those who drive a motor vehicle while knowingly having a suspended license or a revoked license may be charged with this violation. Fines for aggravated unlicensed operation run the gamut from $500 to $5,000, depending on the type and severity of the violation. More serious offenses or repeat offenses may be punished with jail time and/or probation. The reasons for Driving Without A License In NY may be varied. Thus, there are viable defenses in some instances. Those charged with aggravated unlicensed operation of a vehicle may be excused from some or all related charges if they can prove they had a valid license, issued by another state or country, at the time the offense was allegedly committed.